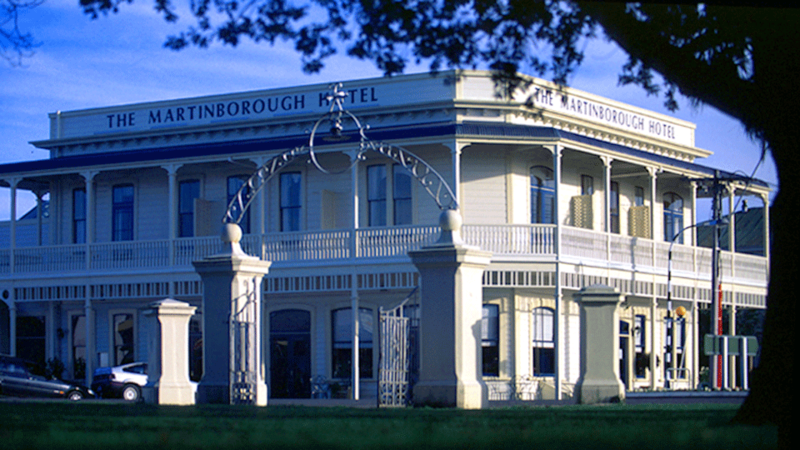 No single building has had more impact on this town in recent years than the iconic Martinborough Hotel. It is located on a prominent corner site and majestically overlooks the Square. The once-dilapidated hotel building has been totally redesigned throughout and the historic exterior façade carefully reinstated. Bars and a restaurant with the requisite support facilities have been located on the ground floor while the first floor has been developed into themed accommodation rooms. The rear of the property has been developed to accommodate additional luxury suites in a garden setting.